Free Comic Book Day takes place on the first Saturday of May, as part of an effort to help bring new readers into independent comic book stores. After seeing how so many successful feature films based on comic book franchises were providing the comic book industry with a positive cultural turnaround from the speculator bust of the late 1990s, the idea of a Free Comic Book Day was published in a column by retailer Joe Field of Flying Colors Comics. He brainstormed the event in his “Big Picture” column in the August 2001 issue of Comics & Games Retailer magazine. On Free Comic Book Day, participating comic book store retailers give away specially printed copies of free comic books, and some also offer special deals and creator signings to those visiting their establishments. However, retailers do not receive the issues for free; they pay 12–50 cents per copy for the comics they give away during the event. In addition to comic books, some stores also give away other merchandise, such as mini posters and other movie tie-in memorabilia. 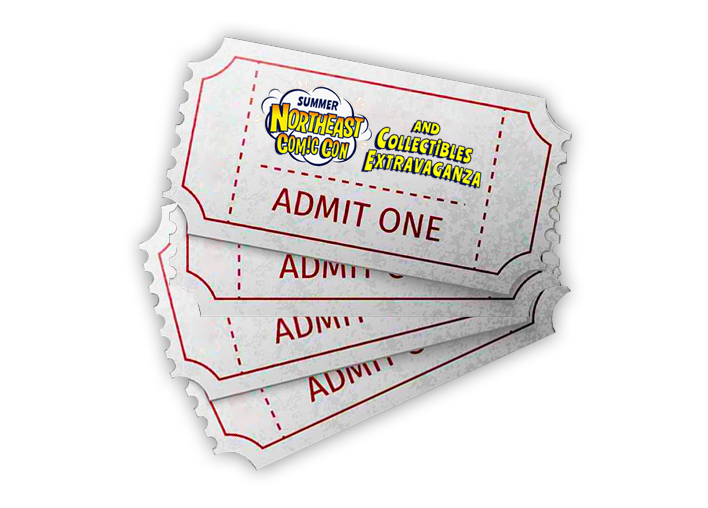 NorthEast Comic Con & Collectibles Extravaganza wants to help celebrate this event by offering our fans four (4) adult admission tickets to the July 2018 event for just $50! That’s a huge savings from what you’ll pay at the door. Head over to our ticket page on May 5, 2018 and look for our Free Comic Book Day special offer! We’d love if you shared your favorite comic related Cosplay, memes, and photos on our official Instagram page, too! Just submit them with a description of what you’re sharing, and we’ll be happy to post them on our pages for our fans to see!